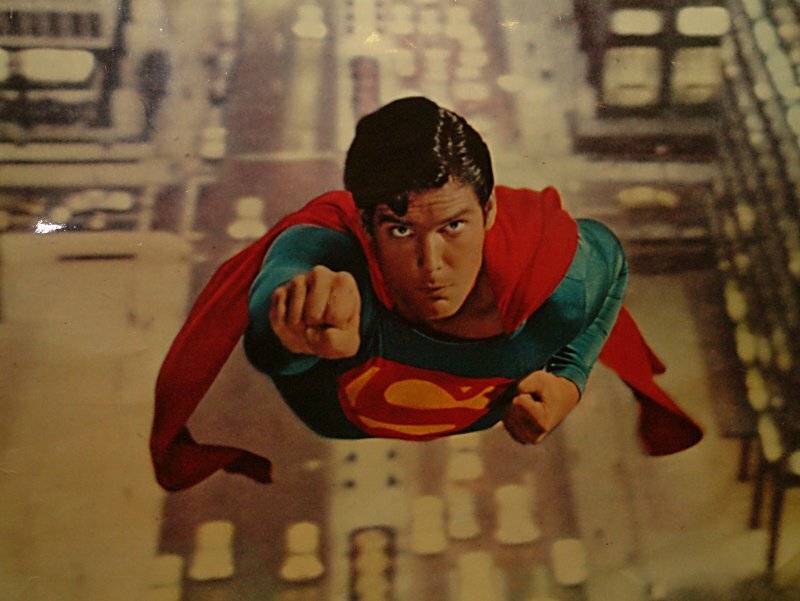 A tribute to the late Christopher Reeve at 16:50 with the showing of a 35mm reel from "Superman". 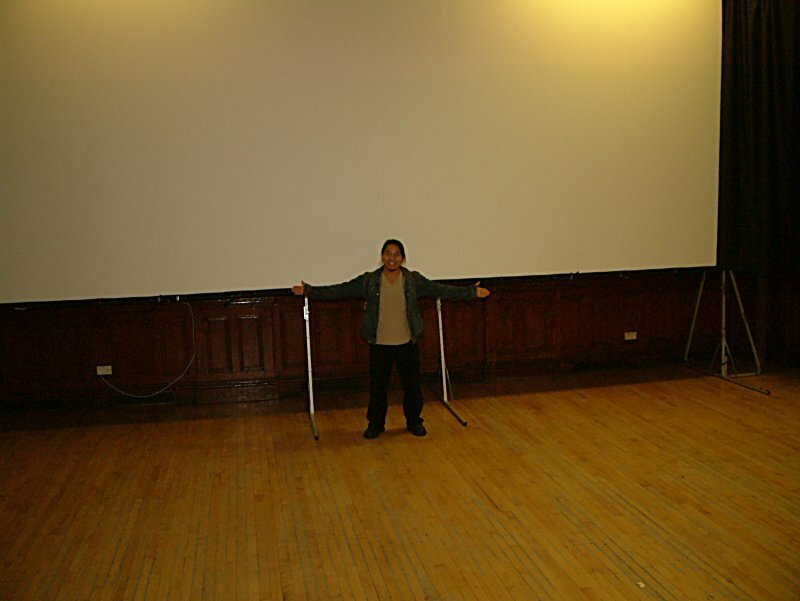 The Queen's Hall cinema for the 48th BFCC; Alan Rik from New York presiding. 11.15 Concorde One Year On: We look back at the early days with two short 16mm documentaries, a Super 8 newsreel and a working toy model... mind your toes! 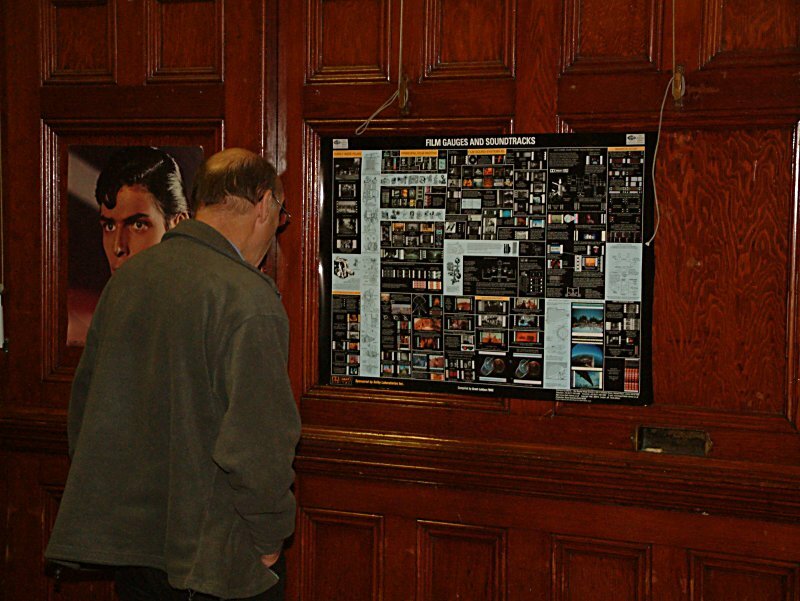 12.00 Technical film historian, Grant Loban reveals the secrets behind his famous BKSTS film format posters and charts. 12.15pm Colour From Black & White - The Technicolor Story: Part One. presented by Ken Locke and Keith Wilton. 2.00 New and Recent Releases. 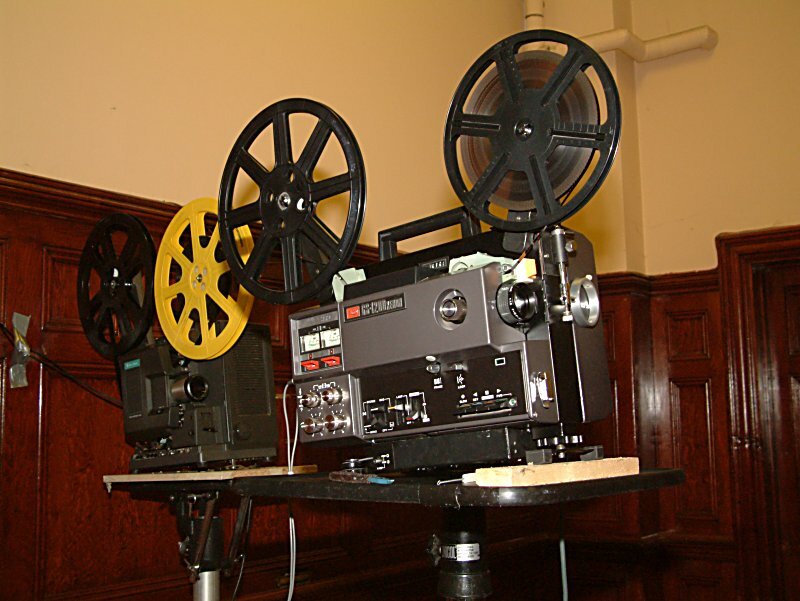 Please note due to the failure of the film labs to deliver certain items we are re-showing one of the 'Scope items from the previous convention. There will be a brief pause within the show while we change over to the 'Scope format. 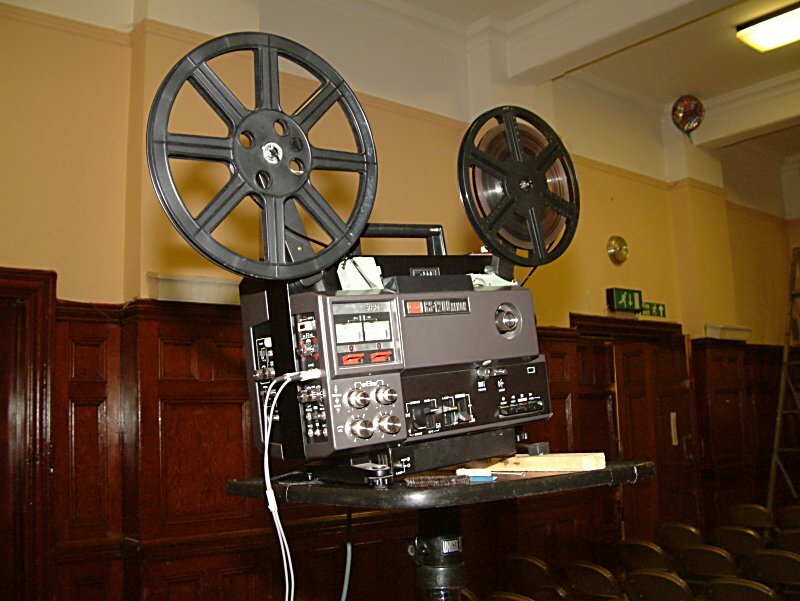 The programme will end with a Derann Concorde ('Scope) one-reeler. 3.15 Colour From Black & White - Part 2: The Kodachrome Show. Includes original camera footage from 1945. Live narration by Ken Locke. 3.45 Digital Double-bill in 'VideoRama'! Tribute to Janet Leigh and part three of 'Colour From Black & White', including VistaVision & Technirama. 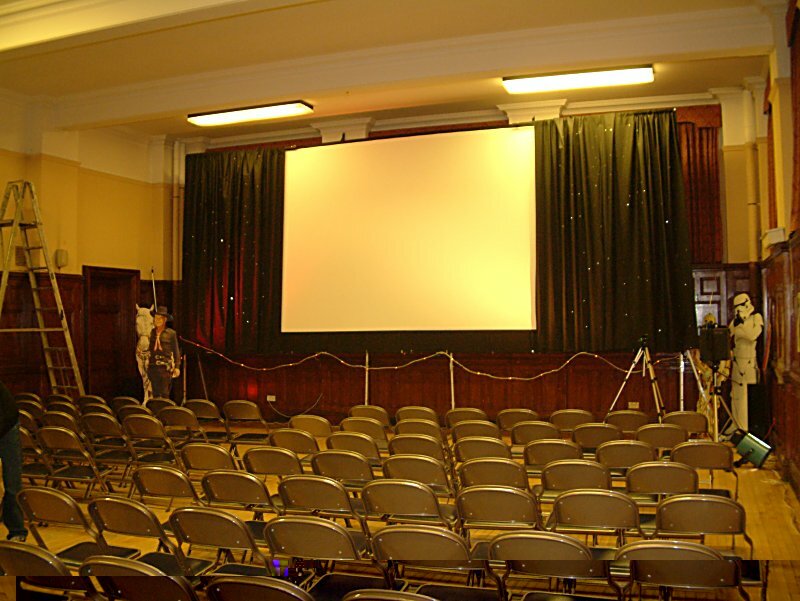 Specially prepared one-off DVD programme presented on our 24ft screen! Don't sit in the front row! 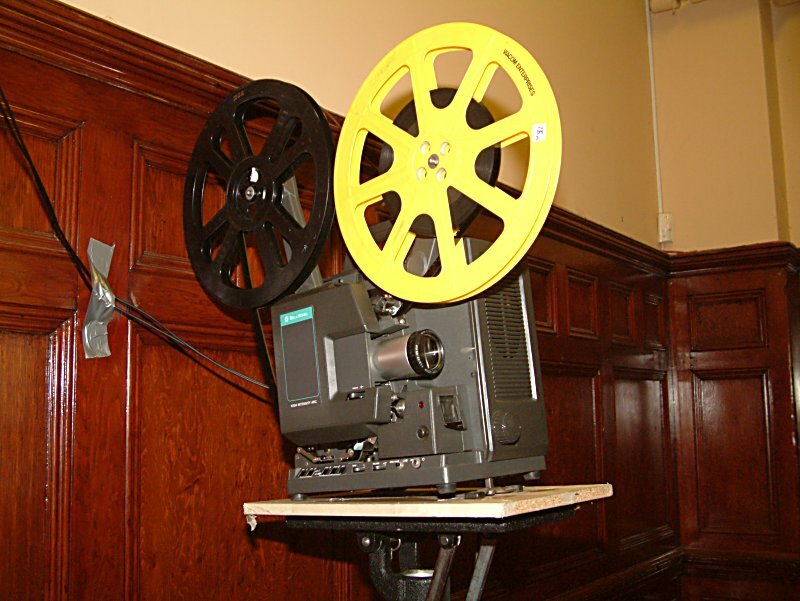 Some video images do not truly represent the original quality of the 'Big-Screen' film formats or that of 35mm Technicolor - these are included for demonstration purposes only. 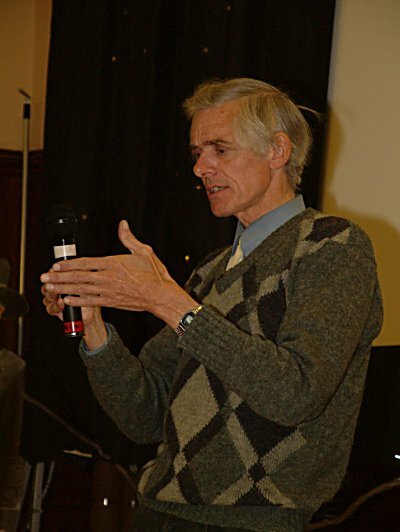 Written and compiled by Keith Wilton - narrated by Ken Locke. 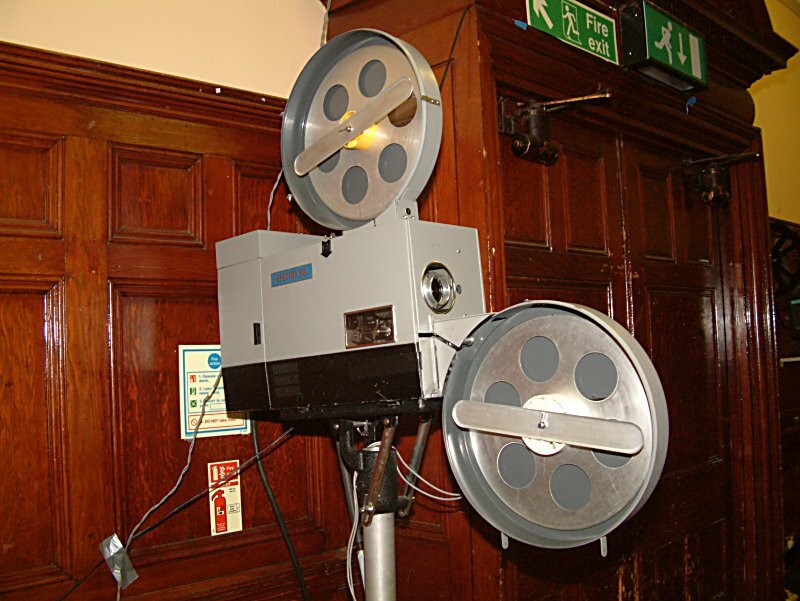 4.30 Double-bill 35mm Technicolor cartoon show. 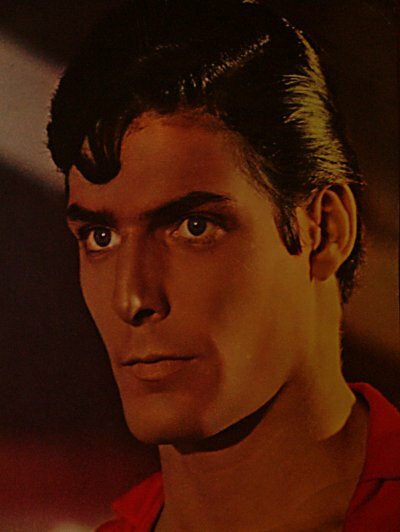 4.50 35mm tribute to Christopher Reeve. Please note: print has faded - definitely not Technicolor. 5.15 35mm Technicolor 'Scope reel from "The Battle of Britain". Just hear those Hurricanes roar down the hall! (Apologies to Paul Adsett but we refer to the planes!!!) Superb print. Shot on Eastman stock, printed by Technicolor from B&W separations.